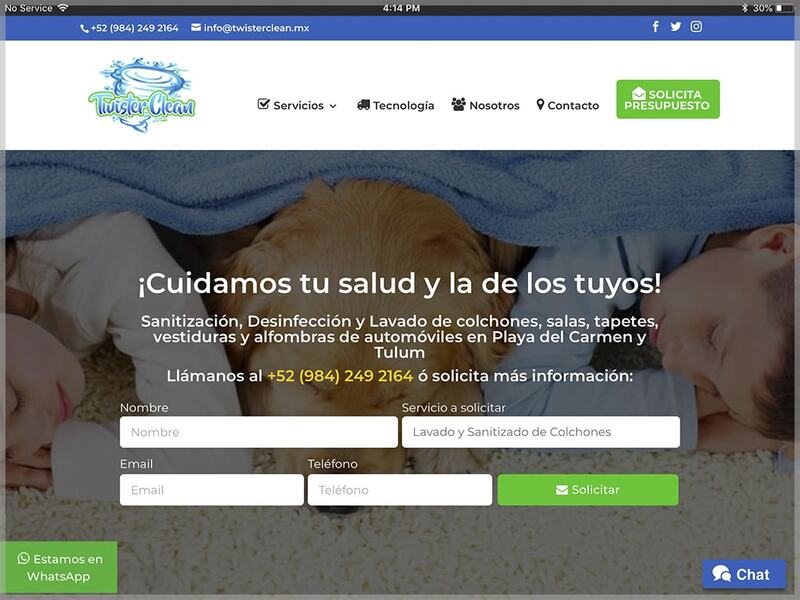 Twister Clean is a young company located in Playa del Carmen, Mexico. They offer high-profile cleaning services to hotels, restaurants, car rentals, and general accommodations in Playa del Carmen, Tulum y Cancún. As part of their getting started strategy, they needed a website to explain their services, show a portfolio of jobs and get customers. The website was designed to make easy get leads from visitors who would want more information.